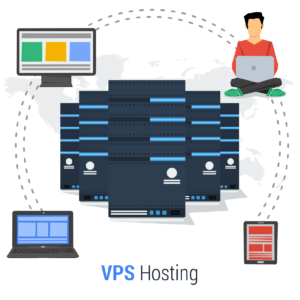 Our Windows VPS server is also equipped with RDP to enable you to connect to another computer seamlessly and efficiently. Cheap Windows VPS is one of the major services that we offer to our clients. This service has gotten harder to find because majority of our competitors often sacrifice quality with quantity. Our cheap Windows VPS solution with unlimited bandwidth is deployed to offer you the most amazing Windows VPS hosting experience. Our cheap Windows VPS plans comprise full Administration, root access to your Windows and 24/7 technical support. Our plans are also deployed with a control panel located in the client area so that you can reboot, shut down and also view your system live via console access. We provide a versatile solution for all your Windows VPS needs. We use Xeon processor and SSD hard drives. Our cheap pricing plans are aimed at providing the most RAM and CPU for your Windows VPS at an affordable rate without compromising quality. KVM (for Kernel-based Virtual Machine) is a full virtualization solution for Linux on x86 hardware containing virtualization extensions. It consists of a kernel module that provides the core virtualization infrastructure and a processor specific module, kvm-intel.ko or kvm-amd.ko. Each virtual machine has private virtualized hardware: a network card, disk, graphics adapter, etc and a permament VNC connection which permits remote access to both the GUI and pre-boot (Emulated BIOS) screens. What are its advantages over OpenVZ, Xen or Virtuozzo? With KVM you are running an unmodified operating system which is installed from the official ISO file, whichever that may be, using a permanent VNC connection. You can configure your own partitions, select your own software and even encrypt your hard drive. Unlike other virtualization types, you run your own kernel and modules, making it possible to install Windows, Linux or BSD variants, there all supported. No more mess, no more fuss, no more hassle. Just a virtual machine that behaves like a physical server and works with you, not against you. Do you offer Trial VPS? We do not offer any trials. We have 24 hours refund policy. We think 24 hours is enough to test the service. You’ll get secured CPU and memory amounts for faster speeds. At the same time, you will benefit from a no–cost Control Panel as a valuable reward. We know time is money, our around the clock expert ticket support will always help you solve your problems in 9 hours. We would rather keep you because you love our service and not because you have a contract that is holding you down. Your Windows VPS comes with a control panel! You will have full control from our rich control area.